no obligation quote with no hidden costs. Graeme has over 18 years experience in the pest control industry and Sylvia is perfectly placed to offer advice and reassurance. 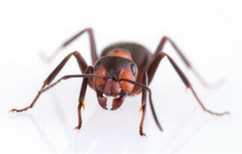 We offer fixed costs with no hidden extras, and as continuity is important, you will see the same pest control technician at all times should follow up be required. For added security both Graeme and Andy carry photographic identity cards and Sylvia will advise whether it is Graeme or Andy calling out to attend to your pest problem. Please review Wee Critters on Google+, we love to hear your feedbackWe are also members of N.P.T.A. and fully insured. Contact us now for free advice and a no obligation quotation. As a long standing customer I can honestly say there is no better company than Wee Critters to look after your premises. 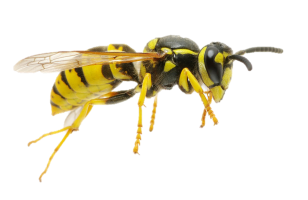 Not only are they excellent at carrying out the all-important contract checks, but are brilliant at responding to urgent requests such as a wasps nest which needs to be removed quickly. I would thoroughly recommend this business to anyone needing pest control advice. Prices too are remarkably cheap compared to the other named providers. Ian, Manager, Hotel in Edinburgh. We have been using Wee Critters since Graeme and Sylvia started in business and have always been delighted with the service, Graeme is highly conscientious, very pleasant and his knowledge goes before him. We highly recommend and support this local family run firm. I have worked with Graeme and Sylvia since they started in business, they are always very attentive and do an excellent job. We have used the services of Wee Critters for over 2 years and they have always been highly efficient and very fast at responding. Graeme is the first person we would go to and have no hesitation in recommending Wee Critters to anyone. 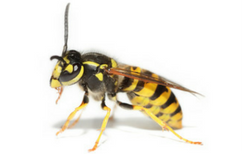 Wasps can be a nuisance and are noticed in abundance during July-September. The nest (byke) should never be treated by the public as there is a strong probability of an attack by protective workers (infertile females). A wasp sting is painful. 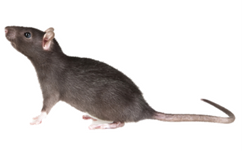 Rats are well documented for spreading diseases, much of this is possible because of their ability to hold many infectious bacterias in their blood. 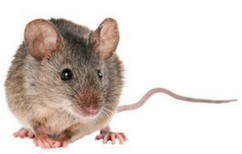 Having mice in your home is more than an inconvenience – these rodents can be a serious health risk due to the diseases they can spread, particularly in kitchens or areas where children play. 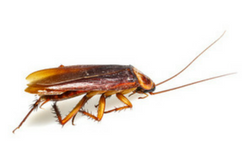 Cockroaches are a high risk pest to have in the home. 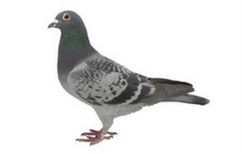 They carry a range of serious illnesses including salmonella, dysentery, gastro-enteritis and typhoid. Bed Bugs are small, crawling parasitic insects. 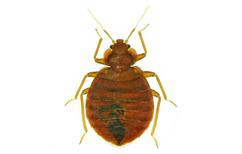 All species feed on warm blooded animals.Cimex lectularius is the bedbug that feeds on blood from humans, which can result in painful bites. 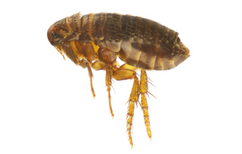 Fleas are a common problem in homes especially for those with cats or dogs. They are also frequently found when moving into a home that previously had pets. 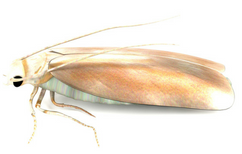 Once moths infest your house or business place, they can severely damage the natural fibers and fabrics in a wide variety of materials including rugs and carpets, your clothes including furs and even leather. 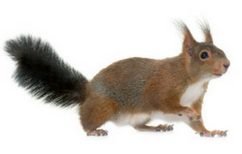 Grey squirrels are known as vermin, they were deliberately introduced from the U.S.A. during the late 19th century and have vastly grown in number. 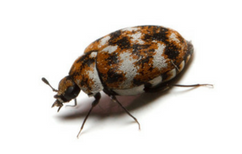 The most common beetle pests within Scottish properties are Hide beetle and Carpet beetle, both are from the species dermestas. 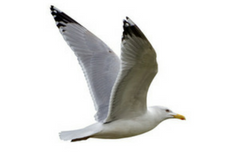 Seagulls are extremely protective during nesting season and will become noisy, aggressive and territorial.